Alyza Bohbot rebranded and reinvigorated her parents' business by empowering women. A few years ago, Alyza Bohbot, 32, faced a major life decision. Did she want to take over her family’s coffee business? Her parents, Israeli immigrants, launched Alakef Coffee Roasters in Duluth, Minn., in the '90s and had tremendous success, but business had cooled down and they were ready to sell. At the time, Bohbot was living on the east coast, having just earned her master’s in school counseling. The last thing she was thinking about was running a coffee business -- that was always her parents’ thing. But she also realized she was being offered a once-in-a-lifetime opportunity. “I didn’t want to ever look back at my life and wonder what might have been,” she says. The months that followed were a crash course in all things coffee. Bohbot had to learn the business, research the marketplace and consumers, and figure out how to reinvigorate the brand. A jolt of inspiration hit her at a trade conference breakfast, when she learned of the tremendous gender inequality in the coffee industry. According to the International Trade Center, women produce 70 percent of the coffee, but have minimal ownership of the land and the business. “I thought, what if we had a coffee brand that tried to source as much coffee as possible from women coffee farmers, and then on top of that, work with these organizations to give back to these women,” Bohbot says. And so, City Girl Coffee was born -- a hip, young, female-focused coffee brand with a mission. 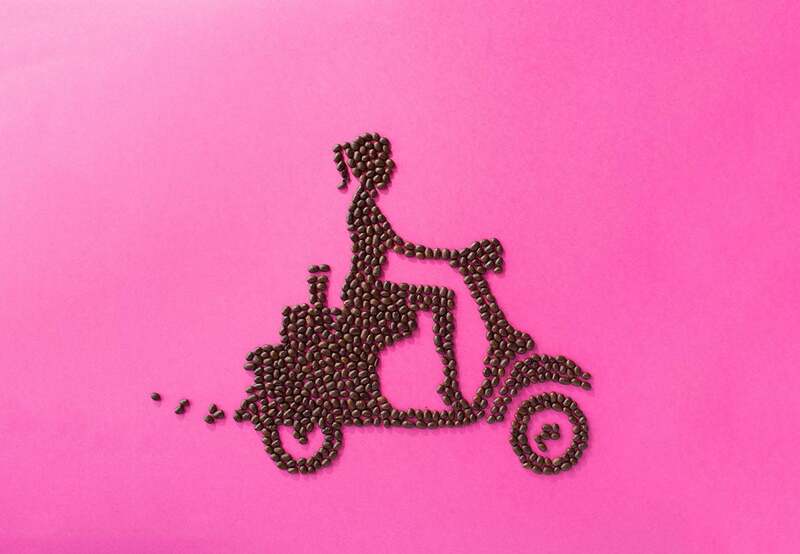 The coffee comes in bright pink packages, featuring an image of a millennial riding a scooter, a look that Bohbot describes as “1950s glam meets modern badass.” In addition, City Girl only works with farms and cooperatives that are owned or managed by women, and gives 5 percent of their profits to organizations that support women in the industry. The rebranding has paid off big time: Sales are up 300 percent year over year, Bohbot says. Here, she shares the wisdom derived from her daily grind into the coffee industry. “If you’re going into business and you don’t know why your consumers would choose your product over somebody else’s, or what motivates them to purchase your product, you’re already starting 15-feet behind the start line,” Bohbot says. She did months of research, interviews and networking before she discovered the why of City Girl Coffee: To be a mission-based coffee for young women. Pay attention to your own purchasing habits. “Consumers are a lot smarter than we give them credit for,” Bohbot says. “They will see through” a product that’s phony and disingenuous right away. If you’re planning on adding what she calls a “give back” piece to your business (like the way Coffee Girl gives back to women in the coffee industry), it has to come from a “genuine and authentic place.” Bohbot’s mission made sense for Coffee Girl -- in fact it’s what launched the business in the first place. Don’t tack on a social mission as some sort of "afterthought marketing tool," she says. It could backfire spectacularly. Bohbot concedes that while she excelled at the creative, marketing and sales pieces of her business, she needed to polish up on her financial skills. She advises other entrepreneurs to recognize their weaknesses and surround themselves with people who can help you learn. For now, she’s taking it one delicious drip at a time.